Chris Bolognese started a new Honors Trigonometry unit a few days ago and posted a new problem set, welcoming feedback. Clicking on the document image gives you access to Chris’ problem set. 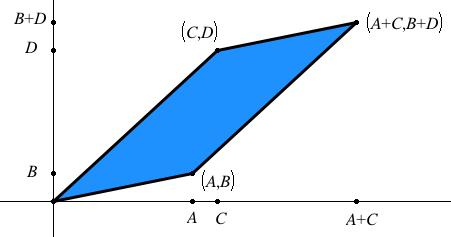 Question 2 suggests you have already discussed special angles (or your students recalled them from last year’s algebra class). What I love about this problem set is how you shift the early focus away from these memorized special angles and onto the deep symmetry underlying the unit circle (and all of trigonometry). Understanding deep structure grants always far more understanding than rote memorizations ever does! The problem set’s initial exploration of trig symmetry starts in parts a-d of Question 1, asking students to justify statements like and . The symmetry is nice, and I hope you refer back to this problem set when your class turns to its formal exploration of trig identities, helping them see that not all proofs of identities require algebraic justifications. CONSIDERATION 1: Put some creative power in your students’ hands. Challenge them to discover additional algebraic/transformational identities like Questions 1a-1d. For example, what is the relationship between and ? There are LOTS of symmetry statements they could write. CONSIDERATION 2: I would shift Question 1e to Question 4, as 1e is the basis of the Pythagorean identities you explore in the later group. CONSIDERATION 3: I suggest dropping Question 4d and asking students to discover another equation showing another Pythagorean relationship between trig functions. That cotangent and cosecant have not yet been used is hopefully a loud, silent hint. 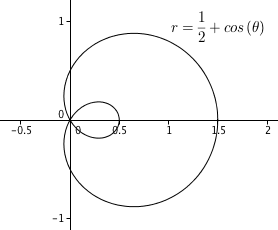 CONSIDERATION 4: They’re not ready for this one until they see sinusoidal graphs, but another trig pre-identity I love is graphing and asking students to write an equivalent equation using only translations and dilations. Unlike the symmetric relationships in 1a-1d, I don’t think you can actually KNOW it is true without algebraic relationships. I use problems like this to set up and justify the transition to identities. I don’t recall ever seeing something like your Question 3 before. In my opinion, is the gold nugget in the assignment, especially with your students’ prior exposure to special angles. CONSIDERATION 5: In some ways the large number of addends in gives away that there must be a simpler approach than the problem suggests on its surface. What about something that suggests a direct solution if you don’t invoke the symmetry, like ? CONSIDERATION 6: Closely related to this, why not shamelessly take advantage of the memorized values to see if students notice the symmetry to notice a simpler approach? I suggest , with sine or cosine. CONSIDERATION 7: My prior two examples tweaked your initial problem. Like Consideration 1, why not challenge your students to develop their own summations? I bet they can develop some clever alternatives. In Question 3, you had some nice explorations using degrees. Unfortunately, I’m not aware of many equally clever early questions involving radians that aren’t degree-oriented in disguise. Here are my final suggestions to address this gap. CONSIDERATION 9: One pair of expressions in Consideration 8 is very difficult to rank without technology. Which pair is this and why is it so difficult to rank? Exchange angles or functions to change this question in a way that makes it easier to rank. Thanks for the fun and thoughtful problem set. Typical high school mathematics considers only two types of transformations: translations & scale changes. From a broader perspective, a transformation is an operation that changes its input into an output. A function is also an operation that changes inputs. Therefore, functions and transformations are the same thing from different perspectives. 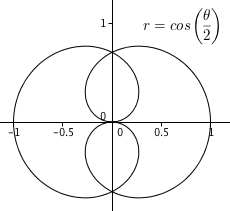 This post will explore an unexpected discovery Nurfatimah Merchant and I made when applying the squaring function (transformation) to trigonometric functions, an idea we didn’t fully realize until after the initial publication of PreCalculus Transformed. When a function is transformed, some points are unchanged (invariant) while others aren’t. But what makes a point invariant in a transformation? 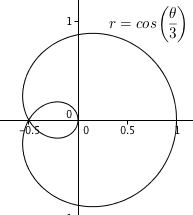 From a function perspective, point a is invariant under transformation T if . Using this, a squaring transformation is invariant for an input, a, when . Therefore, input values of 0 and 1 are invariant under squaring, and all other inputs are changed as follows. So what happens when the squaring transformation is applied to the graph of (the input) to get the graph of (the output)? Notice that the output of is the input to the squaring transformation, so we are transforming y values. The invariant points in this case are all points where or . Because squaring transforms all negative inputs into positive outputs, the first image shows a dashed graph of with the invariant points marked as black points and the negative inputs made positive with the absolute value function. All non-invariant points on have magnitude<1 and become smaller in magnitude when squared, as noted above. Because the original x-intercepts of are all locally linear, squaring these creates local “bounce” x-intercepts on the output function looking locally similar to the graphs of polynomial double roots. The result is shown below. 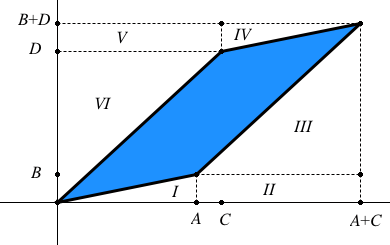 Apply the squaring transformation to the graph of and you get the half-angle identity for cosine and another variation on the double-angle identity for cosine. We thought this was a nice way to sneak up on trigonometric identities. Enjoy. I first encountered this problem about a decade ago when I attended one of the first USACAS conferences sponsored by MEECAS in the Chicago area. I’ve gotten lots of mileage from it with my own students and in professional circles. For a standard form quadratic, , you probably know how the values of a and c change the graph of the parabola, but what does b do? Be specific and prove your claim.